By arrangement with the Byron Bay Bluesfest, George Clinton & Parliament Funkadelic will be very special guests at Red Hot Chili Peppers’ Australian shows this summer including a day on the green’s sold out event at Geelong’s Mt Duneed Estate (VIC) on Saturday March 2. Revolutionising R&B during the ’70s, Clinton’s distinct sound experienced a resurgence by the end of the ’80s as a generation of rappers reared on P-Funk were beginning to name-check him. Clinton has since been featured by, or collaborated with, numerous artists including Prince, Primal Scream, 2Pac, Outkast, Blackalicious, Snoop Dogg, Wu-Tang Clan, Kendrick Lamar and Childish Gambino. He is considered one of the most sampled artists ever. George Clinton will be saying a Funk-a-thon farewell to the land down under as he returns to play his last ever Australian shows. 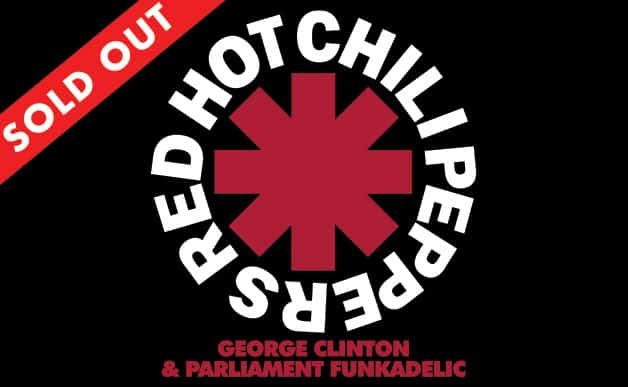 Tickets to RED HOT CHILI PEPPERS’ a day on the green Victorian show sold out in just a few red-hot minutes when they went on sale in November, reinforcing just how popular a day on the green has become around the region. We cannot guarantee any ticket purchase made through any means other than the official ticketing agents listed on the A Day On The Green and Live Nation websites.